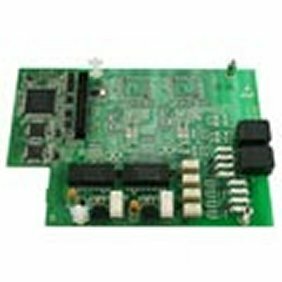 The NEC SV8100 2-circuit ISDN line daughter card PZ-2BRIA includes two 2-channel circuits and is used when you want to connect a further 2 ISDN digital lines (4 channels) to the SV8100 phone system. This card is installed on the CD-2BRIA card. Used to connect up to 2 further ISDN lines (4 channels) to the SV8100 phone system. Installed on the CD-2BRIA card.